A drought as bad as last year seems unlikely, but remains a possibility, especially for the Tulare Basin in the southern Central Valley. Rain has arrived, but the drought has not yet left. Fortunately, we have three months left in the wet season. 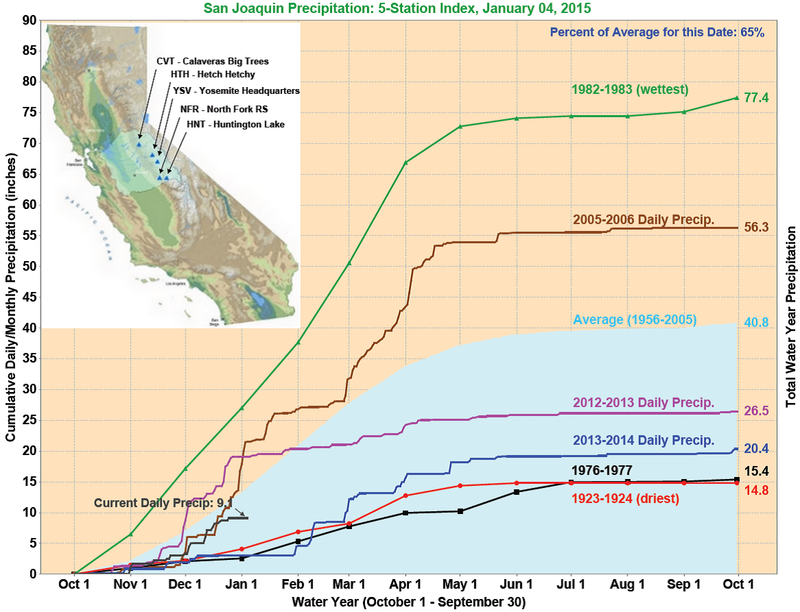 We won’t have much to say for sure about the 2015 water outlook until March, no matter how eager we want to know. 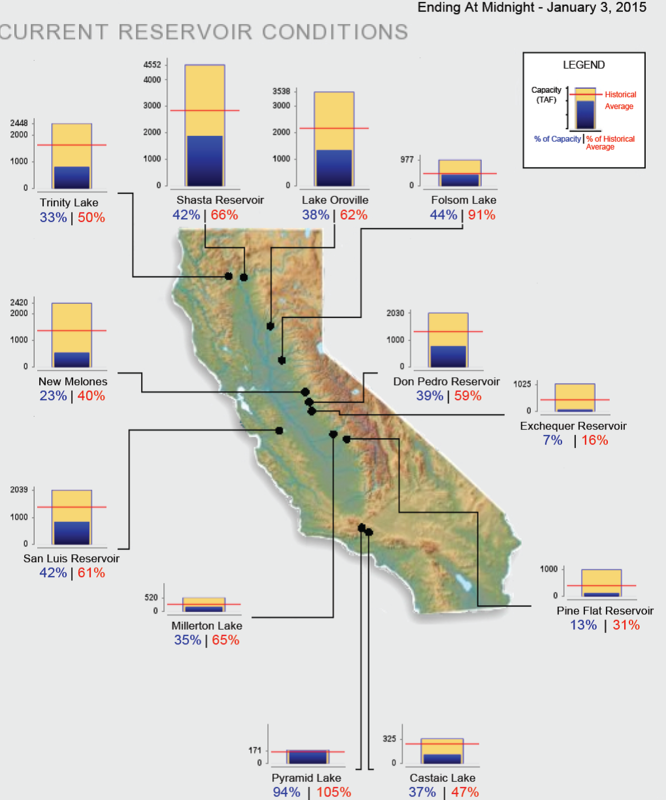 For the Sacramento and San Joaquin valleys, El Nino — the periodic shift of warm water from the Western to the Eastern Pacific — is a poor predictor of runoff in northern and central California. The December storms helped, but surface water storage remains about 5 million acre feet below average for this time of year. The Sacramento area is in much better shape, but most other areas are worse off or about the same as they were a year ago. 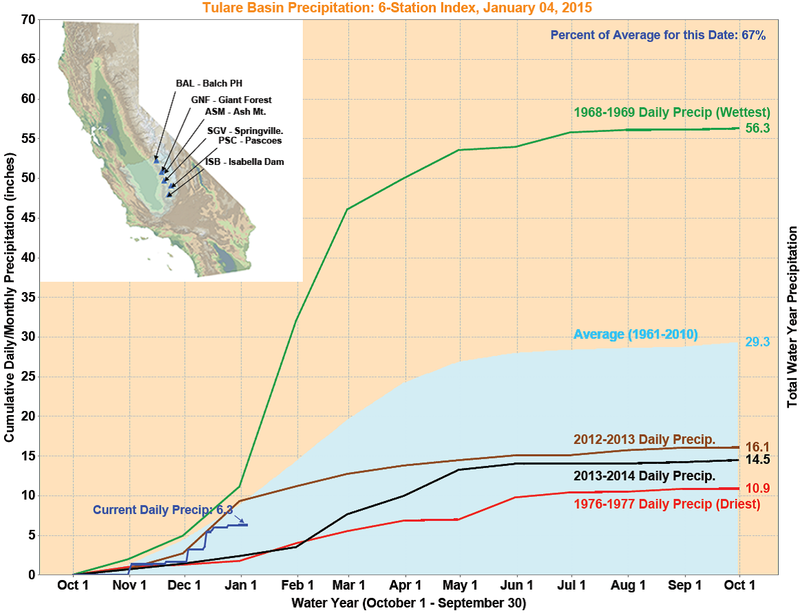 The San Joaquin Valley and Tulare Basin are not accumulating precipitation as fast, with 65 percent and 67 percent of average precipitation respectively for this time of year. At this point, midway through the wet season, it seems plausible — though unlikely — that this year will be as dry as the last in these areas. 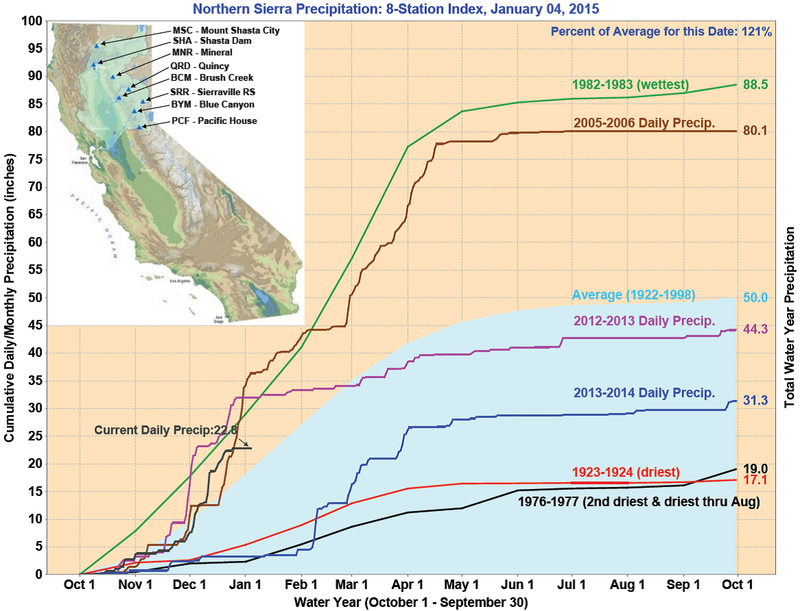 These precipitation indices are telling, particularly the more recent yearly plot lines. 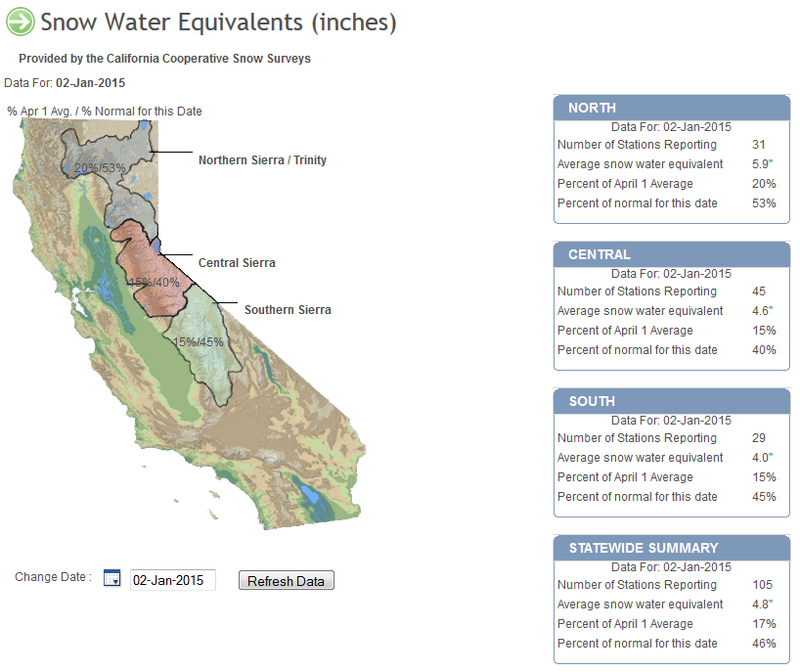 Those have daily data so you to see how much each storm contributed to the annual water supply. Such close tracking matter, because the difference between a drought and a wet year in California can be just a few storms.